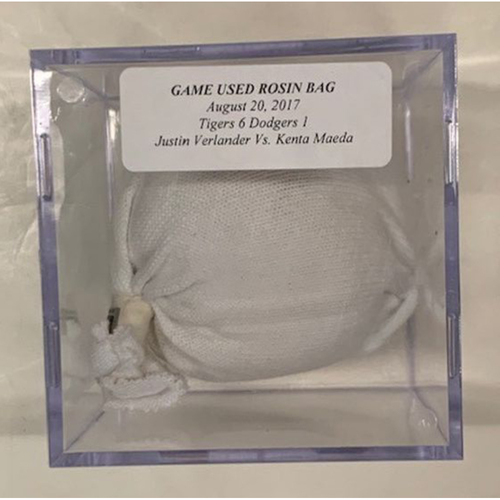 Bid now to win this game-used rosin bag from August 20, 2017 against the Los Angeles Dodgers. Pitcher Justin Verlander vs. pitcher Kenta Maeda. Tigers won. This game was Justin Verlander's final home start as a member of the Detroit Tigers.